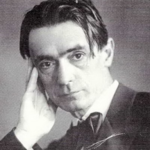 “Because of his sense of the interconnectedness of the spiritual world with nature, art, medicine, and all the rest of life, Rudolf Steiner was a profound polymath. In his seminal study Christianity as Mystical Fact he turned his esoteric genius to interpreting the Christ event as the turning point in the world's spiritual history―an incarnation whose significance he saw transcending all religions.”―Bishop Frederick H. Borsch, professor of New Testament and chair of Anglican Studies, Lutheran Theological Seminary, Philadelphia “As simultaneously mysticism and fact, Christianity is a breakthrough in the historical development of humanity for which the mysteries, with the results that they brought about, form a prior evolutionary stage.” ―Rudolf Steiner During the fall and winter of 1901–1902, Steiner gave a series of lectures called “Christianity As Mystical Fact” to members of the Theosophical Society. The lectures were rewritten and issued as a book later that year. They mark a watershed in the development of Western esotericism. Steiner wrote of the idea behind his book: “The title Christianity As Mystical Fact was one I gave to this work eight years ago, when I gathered together the content of lectures given in 1902. It was meant to indicate the special approach adopted in the book. 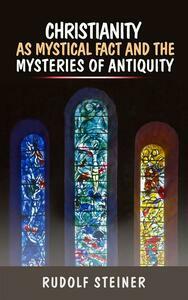 Its theme is not just the mystical side of Christianity in a historical presentation. It was meant to show, from the standpoint of a mystical awareness, how Christianity came into being.